Israel's chief rabbis, hasidic groups and a Biblical reenactment were some of the highlights. Thousands of people attended slichot services at the Tomb of Machpela in Hebron following Rosh Hashana on October 6, 2016. Leading the services were Israel's two chief rabbis, Ashkenazic Chief Rabbi David Lau and Sephardic Chief Rabbi Yitzhak Yosef. The tradition of visiting Hebron during the Ten Days of Repentance between Rosh Hashana and Yom Kippur was started by the venerated Rabbi Mordechai Eliyahu, who served as Israel's Sephardic chief rabbi from 1983 to 1993. Slichot, or forgiveness, are special prayers recited before the High Holidays and during the Ten Days of Repentance. Throughout the preceding month of Elul, thousands flocked to the holy city as well. About 4,000 people from the Karlin hasidic movement visited Hebron during the event, led by the Karliner Rebbe. Throughout the day and night groups toured historic sites in Hebron such at the Beit Hadassah building and the Tomb of Ruth and Jesse. The Isaac and Rebecca Hall were open to the public and prayer services went on throughout the night as well as a music performance by local artist Binyamin Landau. Other noted figures to attend were Danny Bonfil, the head of the Histradrut labor union Jerusalem region, who blew the shofar. Noted Jewish singer Moshe Habusha was there as well. This year a unique event was held in which kohanim enacted some of the preparations for the traditional Yom Kippur services that were held in ancient days as described in the Torah. 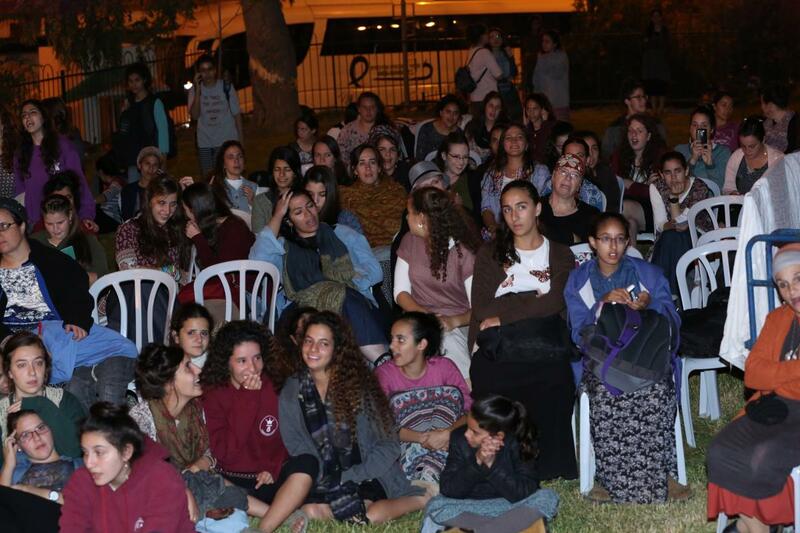 The educational program was held under the auspices of the Mikdash Educational Center. On Sunday, a special women's gathering is scheduled in which another large crowd is expected. For the second year in a row, the guest performer will be Sarit Hadad, one of the most well known contemporary female Israeli singers. Also on stage will be Ricka Razel, and a special girls dance performance from Kiryat Arba. For more information click here.